I am, for better or worse, done with this trip. But not done, because my odometer says 2950km, so agonizingly close to 3000km, and with plenty of excess energy to finish it off sometime this week. I want to go to the end of Ruta 3, which is basically the end of a string of roads that starts in Alaska. 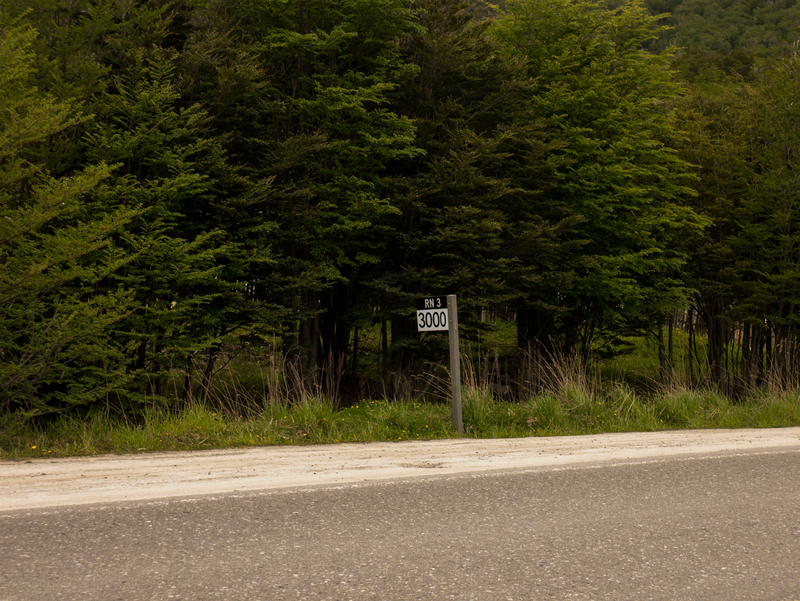 3000km from Buenos Aires on Ruta 3. You can follow Ruta 3 on other named roads, probably I-5 in California, Oregon and Washington at some point, all the way up to Alaska. Smelling the finish line, I pulled two final 100km+ days to finish off the trip. 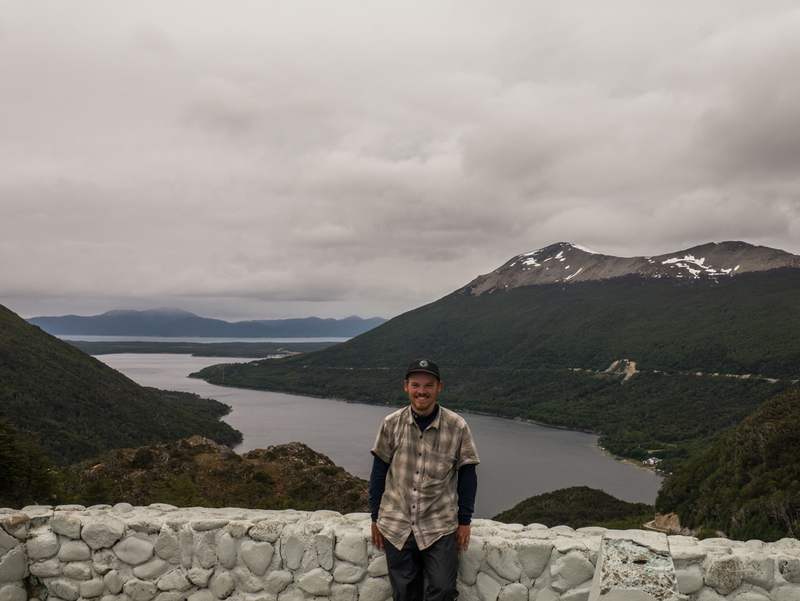 The first day was nothing special, just more flat, windy Tierra del Fuego. On the second day, however, every scenery, type of weather, and road surface from the trip came to bid me farewell. 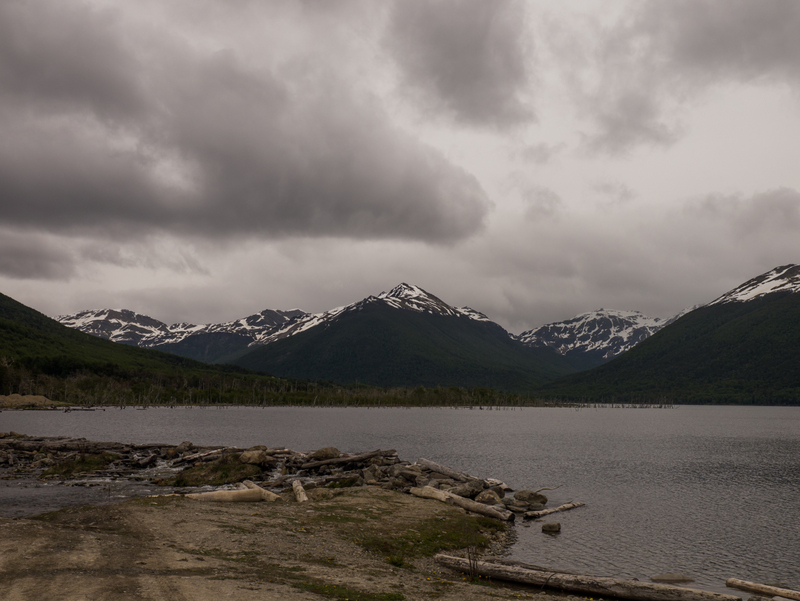 The scenery changed yet again from windswept plains to forest and one final mountain range and two final passes through that mountain range. It felt a little like I was back on the Carretera, with spectacular blue lakes and plenty of climbing. After hundreds of kilometers with basically nothing to look at, I was thankful for the one final change of pace. At the end of the final climb, which you can see behind me. 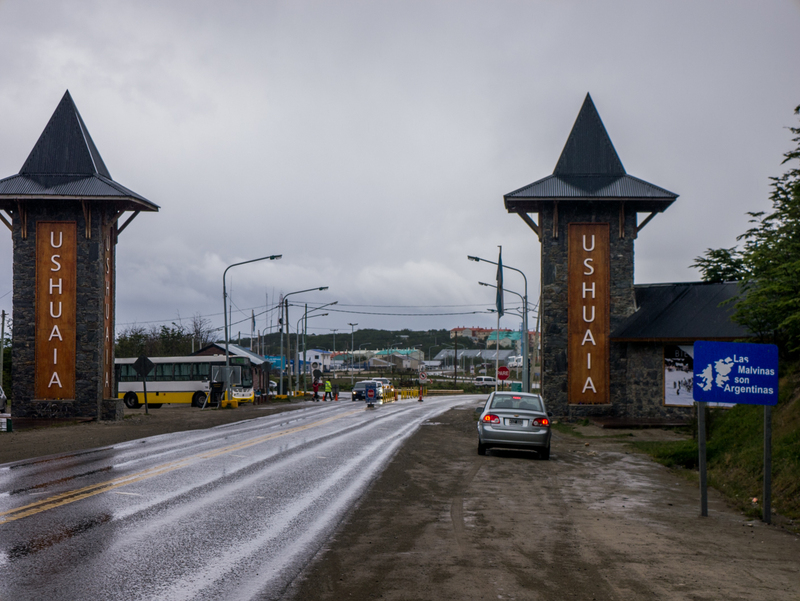 Everything down here is “The Southernmost ___ in the World.” A ski area with chairlifts over the road, the city of Ushuaia. All have this wonderful claim to fame. I’d been directed to a hostel in Ushuaia that caters to backpackers and cyclists finishing or starting trips, and that’s where I’m staying right now. As I arrived, the owner of the hostel came out, took one look at me in the pouring rain, and said “You made it! Welcome home!” and gave me a bed with a discount because I was a cyclist. I walked in and was immediately recognized by the French cyclist I had seen a month earlier on a road in the middle of nowhere Argentina. Then I saw that the Seahawks game was on. A bottle of wine made the night a 10 out of 10. Perfect dismount. Can I just stay here for the rest of my life? Well, no, but I have a week until I have to go home. If anyone is passing through here, make sure to stay at the Backpacker’s Refuge. It’s cheap, and one of the best places I’ve stayed. There’s a pretty constant supply of young, enthusiastic adventurers from all over the world, swapping stories from their trip or offering suggestions to new arrivals. About 30-40 people stay here every night, and a pretty constant flow of French, Spanish, English and German is spoken. What a trip. 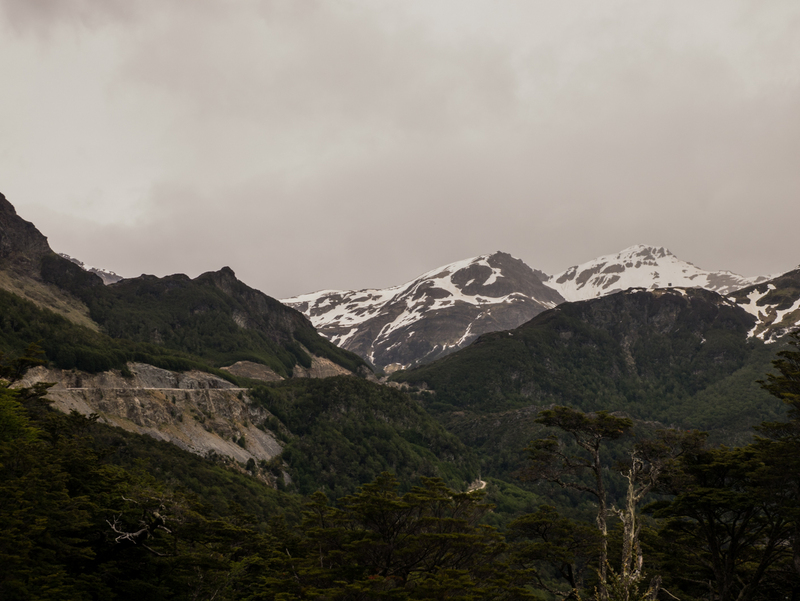 May have one more blog post during the week in Ushuaia, but this just about does it for this trip. Thanks everyone for following along. What an amazing adventure. You are as brave as they come and as tough as can be. And I bet your QUADs are nothing short of marble. PS Mazel Tov on your amazing accomplishment. You will remember this one forever.